When it was revealed weeks later that despite his denials under oath, the new attorney general had actually met with Russian ambassador Sergey Kislyak twice in 2016, he said he believed these meetings were not relevant because they took place in his capacity as a member of the Armed Services Committee, not a campaign surrogate. 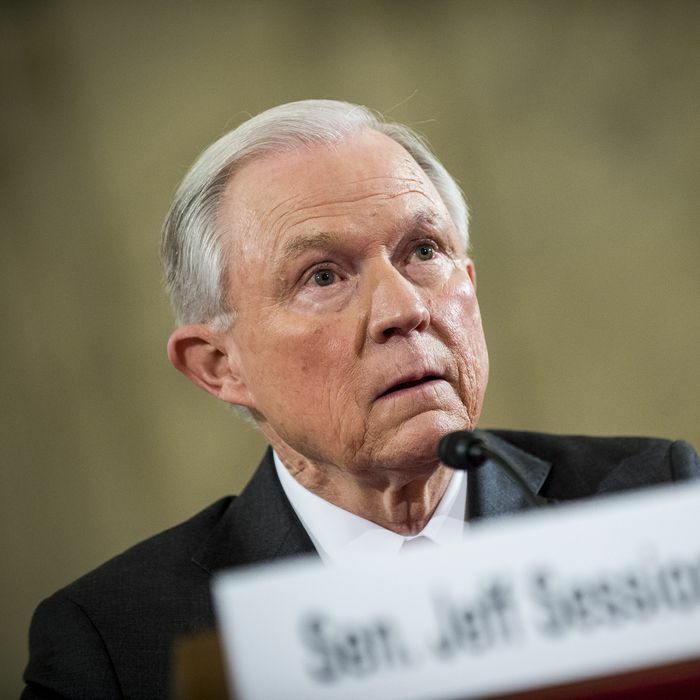 On Wednesday, CNN reported that Sessions was asked a third time about his contacts with foreign officials, and once again he neglected to mention his meetings with with Kislyak, owing to a technicality. Though the security clearance form requires applicants to list “any contact” they or their family members had with a “foreign government” or its “representatives” in the past seven years, Sessions did not include his foreign contacts. Justice Department spokeswoman Sarah Isgur Flores said that a Sessions staffer initially listed all of his meetings with foreign officials in the last year, but then the FBI employee helping them fill out the form said he didn’t need to include meetings he took in his capacity as senator. Mark Zaid, a Washington attorney who specializes in national security law, disputed this, saying he advises clients to include all of their meetings. “My interpretation is that a member of Congress would still have to reveal the appropriate foreign government contacts notwithstanding it was on official business,” said Zaid. Regardless of why Sessions repeatedly assumed no one wanted to know about his meetings with Kislyak, he announced back in March that he would recuse himself from investigations related to the Trump campaign’s potential ties to Russia. President Trump has publicly suggested that he fired FBI director James Comey over the Russia probe, so it remains unclear why Sessions was involved in that decision.